Talking about Divorce is never an easy topic with kids. In Percy’s Imperfectly Prefect Family by Renee C Bauer kids get to understand this complex topic through the story Renee tells about Percy the penguin who found it hard to understand the change in his family’s dynamics when his parents decided to get divorce. The little penguin was feeling very confused when he realized that his life was going to change. His mom and dad will be living separately and he had to shuttle between two households. He was not his usual perky self as he was riddled with question about having to adjust to the changes between his parents. Percy was lucky to have his teacher Mrs Stout to explain to him about the changes in family dynamics which he will be facing. With her help he manage to understand the true meaning of family- people who are there who really care and support you. It is the people not the place that makes a home. It is defined by the love one person has for another. Percy learned that change doesn’t mean that things will be getting worst for him. On the contrary he still could have his current lifestyle with some minor changes. Both his parents still love him and that won’t change a bit. Dealing with a topic like Divorce is not something which a kid can easily understand. It takes a lot of patience and plenty of explanation. One has to handle the separation delicately to prevent the kids from suffering from trauma and or depression. The kid has to know that it is not their fault that his parents are getting divorced and things will work out somehow. Bauer approaches this topic with much simplicity that makes it easy even for a 6 year old to understand. Through a mixture of words and graphics she explains how the dynamics within a family can remain the same even though change has to occur. I’m certainly recommending this book to families with kids who are undergoing divorce. Mom Made Us Write This In The Summer (Max and Maggie Journal) by Ali Maier was a really enjoyable read for the boys and me. It has been a while since we last read a Diary Entry type of storybook. The last one which we read being the Diary of a Whimpy Kid: Hard Luck. This book was more interesting as it portrays two different characters, Maggie and Max and their style of writing. The boys and me enjoyed reading the journal entries and there were distinct differences between a boy and a girl’s way of writing. We loved looking at the pictures that they accompanied each journal entry. 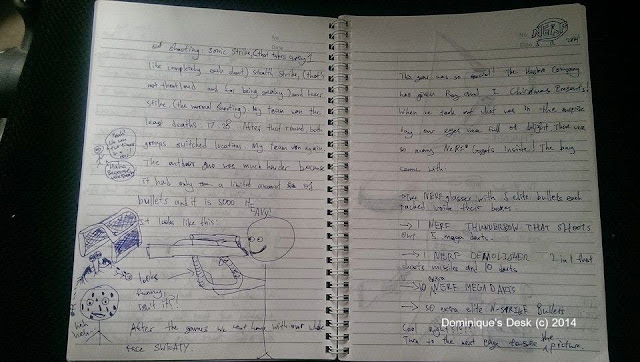 The drawings were very hilarious and really gave a better insight to what Maggie and Max were trying to convey through their journal entries. 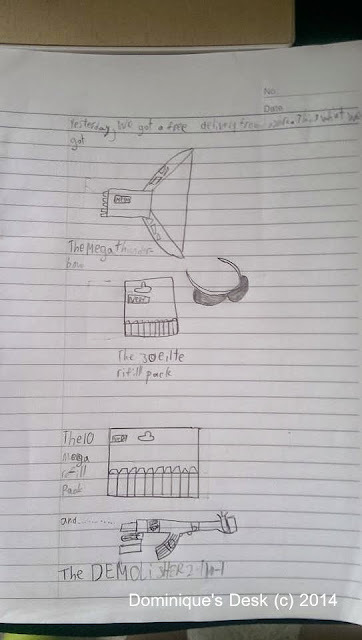 I found the journal exercise really interesting and tried it out with the boys during the current end of year vacations. So far they have done 3 journal entries and we are attempting to do a minimum of 6 entries during this 6 week long end of year vacations. I found this an excellent way to get the boys interested in writing and it certainly made it more fun for them to express themselves in both pictorial and words. 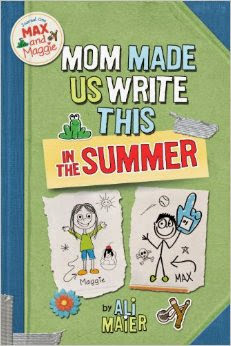 Do get a copy of Mom Made Us Write This In The Summer (Max and Maggie Journal) by Ali Maier if you are looking at a fun read for the kids this holidays. Disclaimer: I received a copy of this book for review purposes. All opinions are 100% my own. This post has affiliate links.